Found in the Yellowstone River, this smooth Montana Agate Designer Cabochon has a dark band running through a clear stone. Measurements are 4 x 25 x 44 mm. 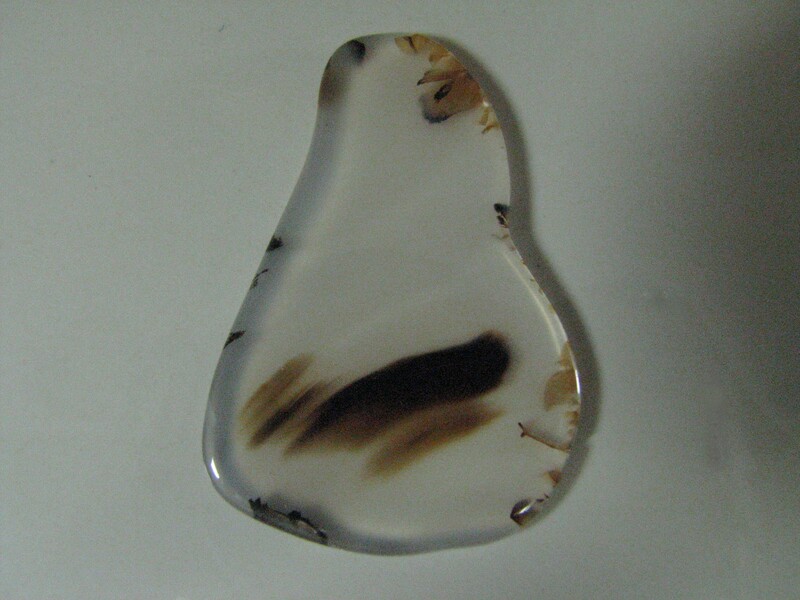 This beautiful Montana Agate Designer Cabochon from the Yellowstone River appears to have a brushstroke through its clear canvas. 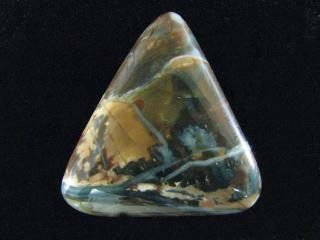 Measurements are 3 x 26 x 42 mm. This Montana Agate Designer Cabochon is almost completely clear. 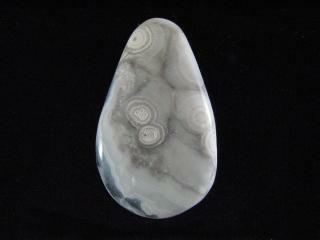 Found in the Yellowstone River, this rock would now make a special necklace. 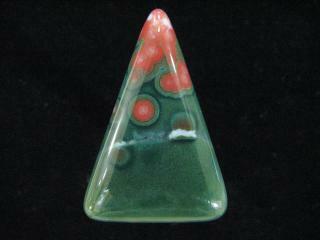 Measurements are 3 x 25 x 40 mm. 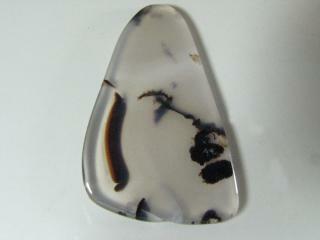 This rounded triangular Montana Agate Designer Cabochon was found in the Yellowstone River. 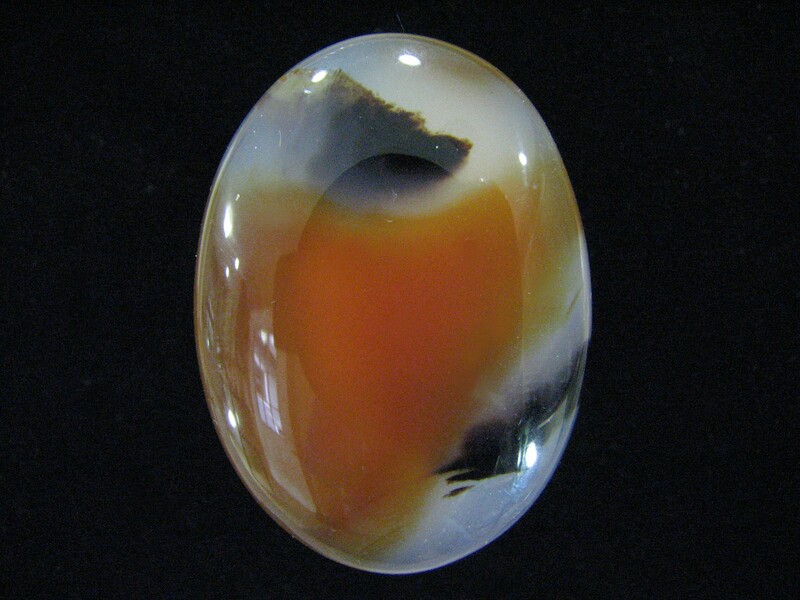 It has dark streaks within a clear canvas. Measurements are 3 x 35 x 48 mm. 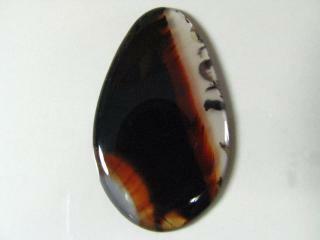 Found in the Yellowstone River, this Montana Agate Designer Cabochon has a nice orange color. Measurements are 6 x 28 x 38 mm. 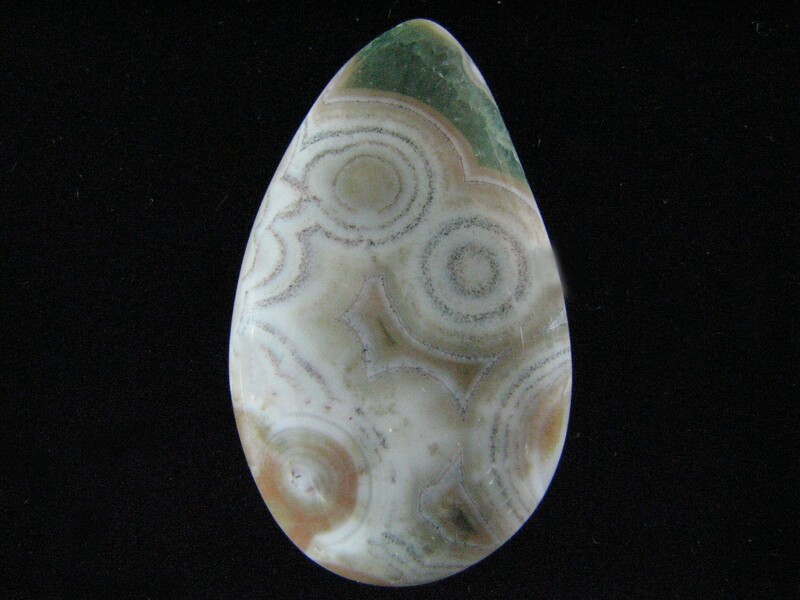 This little triangular Morrisonite Jasper Designer Cabochon features deep blue veins and rich brown designs. Measurements are 5 x 30 mm. 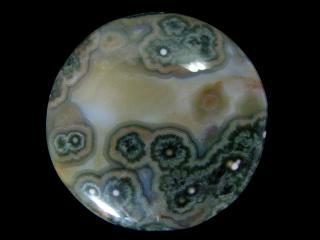 This Morrisonite Jasper Designer Cabochon was found in Oregon. It is a caramel color and would make a beautiful piece of jewelry. 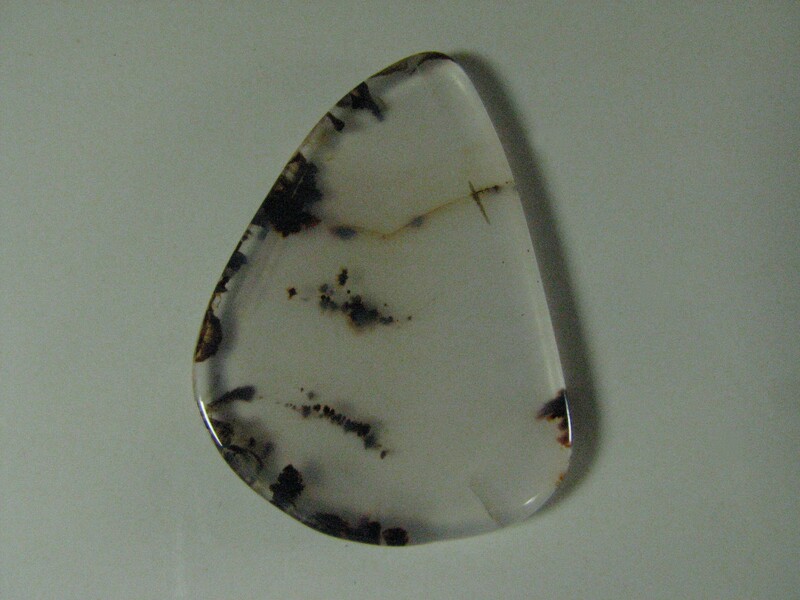 Measurements are 5 x 23 x 37 mm. 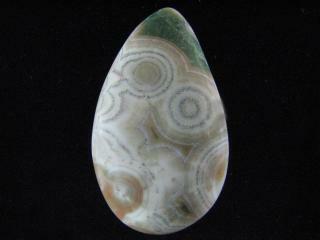 This teardrop shaped Ocean Jasper Designer Cabochon from Madagascar would make a beautiful necklace. Measurements are 4 x 20 x 35 mm. This high quality Ocean Jasper Designer Cabochon is best described by the word “elegant”. 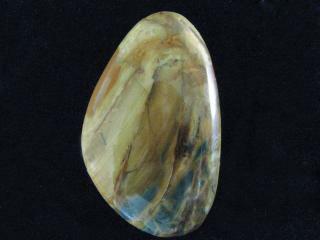 It’s a beautiful piece. Measurements are 5 x 38mm. This Ocean Jasper Designer Cabochon found in Madagascar had a beautiful grey-blue color and a white eyes. Measurements are 5 x 20 x 35 mm. 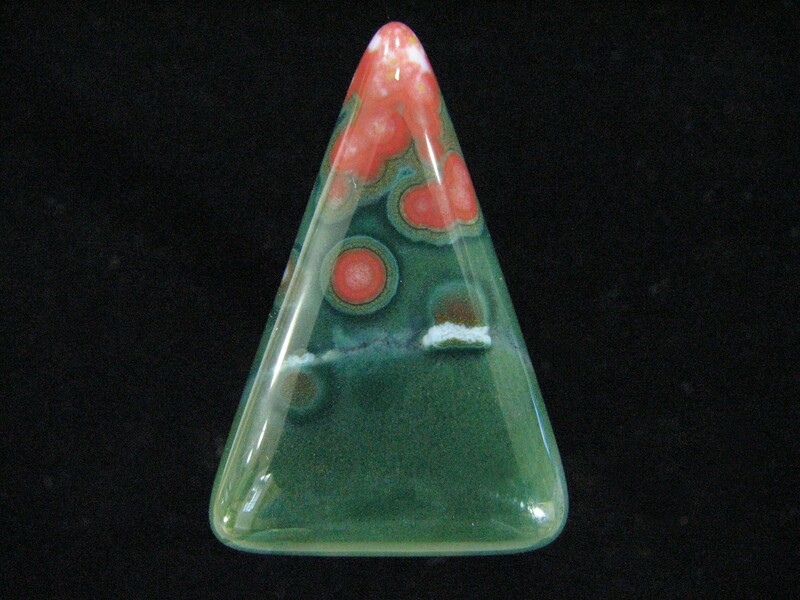 This dainty Ocean Jasper Designer Cabochon is a gorgeous green color with pink eyes. It was found in Madagascar and measures 4 x 17 x 30 mm.